The most important thing a migraineur should remember is how to determine in which stage an attack is. This will help the person to find relief and perhaps stop an attack. But remember that not all migraineurs go through all the stages of an attack and the symptoms may vary. This stage manifests differently among migraineurs. It can be physical changes such as fatigue, a craving for certain food, stiff neck, sleepiness and mood swings. It can last for an hour or days before the attack. Not everyone experiences aura, but for those who do, this involves changes in the vision. The person will observe any of the following: lines, spots of light or color, and dark spots. Those changes are accompanied by tingling, dizziness or vertigo, changes in hearing and speech, confusion and fainting. In some cases these symptoms appear even without the headache. The headache can be mild or severe and sometimes it’s not so noticeable. People who don’t go through the headache phase during an attack experience silent or acephalgic migraine. The pulsating pain in the head can be felt from either one or both sides. The jaw, sinus and eye areas become painful. This can last for three days if not managed. The migraineur may also experience sensitivity to light, sound and odors. In some cases, touching the head can elicit more pain. In some cases, the attack can last for a few hours. Rest or sleep can help alleviate the pain. Find a dark room where you can lie down without being disturbed. If your doctor has prescribed a medicine for a migraine attack, take it. It’s also important to let your family, friends and co-workers or classmates know about your condition so that they can assist during an emergency. Migraineurs experience hangover-like symptoms for hours or days. He/she will feel tired, has poor concentration and comprehension, is irritable and may be depressed or euphoric. This is the time to watch out for rebound headaches especially after taking medications. Avoid triggers and stress. For some people, over-the counter medicines such as aspirin and Excedrin can help. Excedrin has caffeine so if one of your triggers is taking too much caffeine, then it’s not for you. Abortive medications on the other hand need to be prescribed by a doctor. These are drugs you can take during the headache stage. These include Triptans and the injectable DHE 45. Triptans can be taken as tablets, nasal sprays, suppositories or injected. Every migraineur is unique however so it’s not guaranteed to work for everyone. 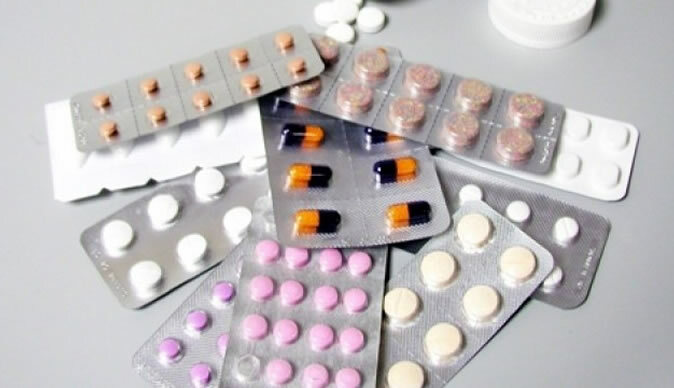 Preventive or prophylactic medications such as beta blockers, Ergotamine, antidepressants, calcium channel blockers and neuronal stabilizing agents or anticonvulsants prevent the frequency of attacks. These are especially helpful for those who have chronic migraine or those who experience attacks 15 or more times in a month. There are alternative methods for managing and preventing pain, so make sure to consult with your doctor for these options.